Wyncode Academy & Lynn University: Web development and UX bootcamp provider Wyncode has partnered with Lynn University in Florida. The partnership offers university credits to learners who graduate from the 9-week Wyncode Web Development bootcamp. Graduates can put these towards the 36 credits required for a Master’s degree. Dominican University & Make School: California’s Dominican University found they were lacking offerings for students interested in tech and computer science. They have partnered with Make School, a coding bootcamp school in San Francisco, who were looking to get their 2-year programme accredited to offer a Bachelor’s degree. Each school is now helping to fill in the gaps for the other. Dominican will help Make School add liberal arts courses to its coding curriculum, upgrading to a Bachelor’s degree programme, and Make School will help Dominican create a minor in computer science. Flatiron School & Yale University: The Flatiron School and Yale University’s Summer Session have teamed up to offer a Web Development bootcamp to students for Summer 2019. The bootcamp will carry 2 Yale College credits. This 10-week course is a special collaboration between Flatiron and Yale’s Computer Science department, providing an introduction to full stack web development. DevPoint Labs & University of Utah: DevPoint Labs partnered with the University of Utah’s Professional Education department in 2017, launching a full-time 11-week web development programme for adults who want to change careers. Trilogy Education & multiple universities: Several universities are partnering with the workforce accelerator Trilogy Education, to launch part-time bootcamps in their continuing education departments. The courses usually take place on the university campus, through the department of continuing education. Graduates receive a certificate of completion from the host university. What’s behind this trend in the education world? There are a number of reasons why traditional educational institutions are partnering with more modern learning providers. Online coding bootcamps are highly relevant, with content that is constantly updated and fresh. This is essential for those looking to start out in the fast-evolving tech industry. There also tends to be more of a practical focus in a bootcamp curriculum, whereas universities offer more theoretical learning to aspiring coders. In short, coding bootcamps can help graduates become better equipped to launch a coding career. Partnerships like these also allow universities to keep up with the “digital economy” offering quick and affordable computer science minors for students across a range of disciplines. 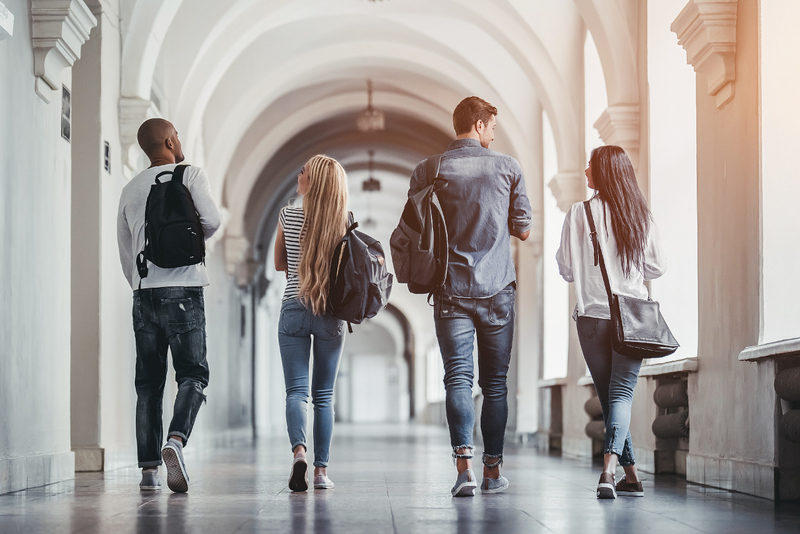 Look at student outcomes: The practicalities of your qualification are just as important as the prestige that comes with completing a bootcamp attached to a university – if not more so. Find out the bootcamp’s graduation rate, and the employment rate for those graduates. This will help you to determine whether the bootcamp qualification will help you to land a job quickly and easily after graduation. Find out who will be teaching: Most likely, a bootcamp instructor and not a university professor will be teaching this course. This is a good thing however; it means you’ll be learning from someone with real-world, professional experience. Do your homework: Do as much research into a university-aligned bootcamp as you would for an independent bootcamp. This will help you ensure you’re making a choice that aligns with your learning and career goals. Cut the middle man out and join a coding bootcamp today. HyperionDev offers a choice of full-time and part-time bootcamps for those interested in web development and data science. Our courses include personalised mentorship and on-demand code review, to help you learn and grow at a fast pace. Whether you’re looking at university coding bootcamps or the independent coding bootcamps from HyperionDev, there’s a learning opportunity out there for you, to help you advance in today’s increasingly digital workplace.